When you partake in any SUP lesson, you can get a FREE high definition pic or vid of your SUP experience. Thanks so much Mike for a fun morning. You are a brilliant teacher and I'm surprised how easy and fun it was! Mike is the sweetest, most patient and most fun teacher one could hope for. If you haven't been SUPing yet, try it with Mike. Out with Mike earlier today. Great way to start the day. Would recommend for those thinking about having a go.Great 2 hour workout. Very knowledgeable guy . Thank you Mike for our SUP lesson today  great xmas present for little sister before she goes home to london... she loved it! Another great day on the water. 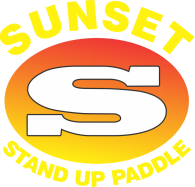 Thanks Sunset Stand Up Paddleboards. The dolphins were the icing on the cake. Just wanted to say a huge thank you for the lessons and the banter! What an awesome way to spend a beautiful Perth morning on the river.